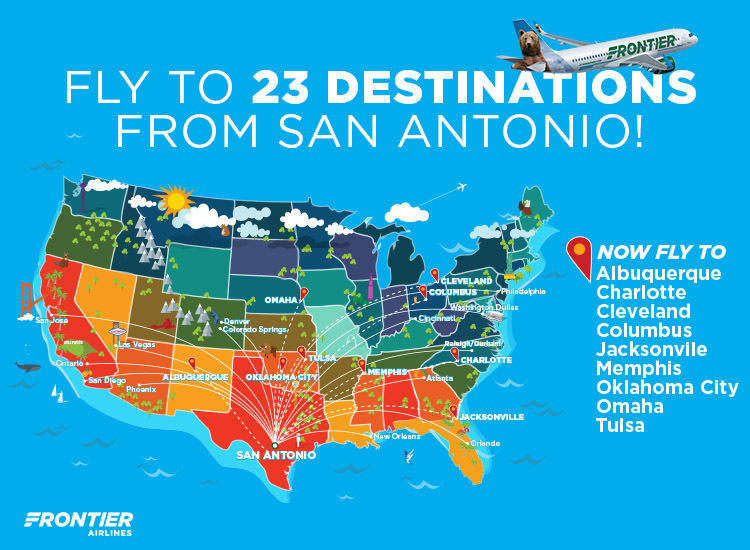 The ultra-low-cost carrier, Frontier Airlines has indicated its continued commitment to making flying to and from San Antonio more affordable by adding nine new routes. The airline announced last week that it will offer more nonstop destinations from San Antonio International Airport than any other airline. 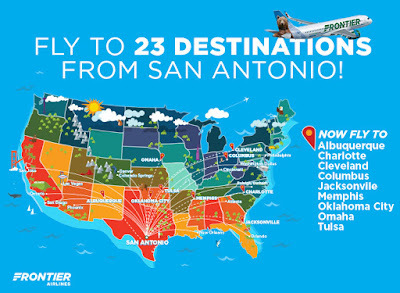 Frontier are offing fares as low as $29 one way on some of the new services for a limited time.